I have heard of the story. We read a children's book about the legend last year. It is really lovely. We have the real spiders but they tend to stay away from the Christmas tree. Those ornaments look really good, I have never seen any before. I've never heard this story, but the ornaments are so pretty, and a memory treasure from your grandma. Neve heard of the legend but it sounds like a fun one. i have a christmas spider - it is made of gold balls and gold pipecleaners - a gift from my sister. I have heard of this story--how cool to have a grandma with a stash of stuff like that! he is so beautiful as it your post, too cute! and a Great grandmother lucky you! plus I've never heard of the Christmas Spider! I haven't. It certainly sounds like a great story to pass on. How neat! Never heard of this, but it makes for a wonderful Christmas tradition. Just stopping by to wish you and yours a fantastic year ahead. 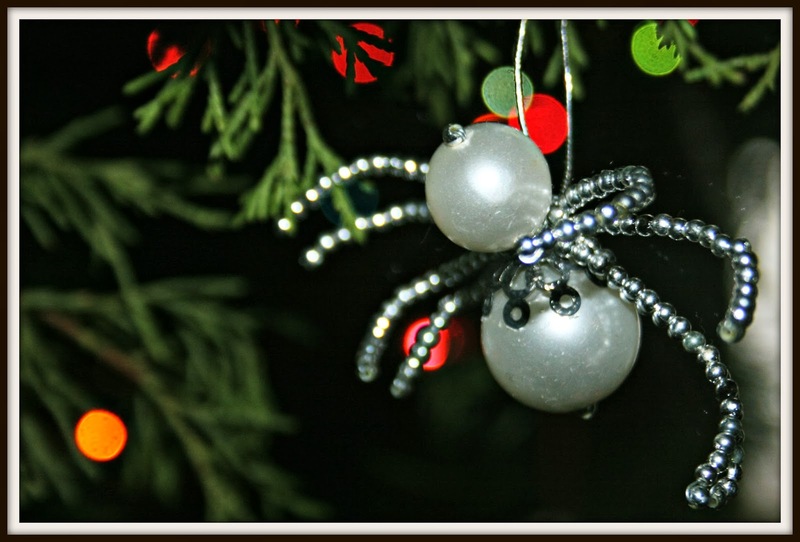 Have not heard that legend--but I definitely would love a spider for my tree.... cute!!!! What a great story. I have never heard it before. And how wonderful that you will have those spiders to always think about your grandmother. I have not but this one really is pretty! Never heard of it and like you I do NOT care for arachnids but I do love that story almost as much as the ornament! This is news to me. I loathe spiders….but this one is lovely. I love that your Grandma shared this with you and the boys; so special!!! That's a new one for me, never heard about the Christmas Spider! No, I never heard it. But the ornament is lovely! aww, I love that she passed the spiders on to you. :) I hadn't heard the tale until now. How sweet is this? And I love the story. I have never heard that story, but I love it. Thanks for sharing. Here is wishing you a happy and healthy New Year! I have been trying to find the necessary supplies to make spiders just like this and have come up empty handed. Do you have any idea where I can find them??? I have looked everywhere for the supplies to make these exact spiders. Do you have any ideas or suggestions where I could find them?? I'm wanting to make these for my family this Christmas.